Sports teams, gymnastics clubs, and other athletic groups are able to get special liability coverage from Consolidated Health Insurance. In addition, employers can elect to purchase discount health plans for their workers. Individuals are also able to supplement their existing health insurance policies by purchasing dental, vision and prescription coverage. See health insurance quotes instantly by inputting your zip code! The Consolidated Health Insurance Company also offers discount plans for students that want to get a reduced price on textbooks. While most of this company’s insurance products are geared towards K-12 and college level athletic associations, anyone can purchase a plan. Customers living in the Massachusetts area will be able to find a participating doctor, hospital, or health care facility by searching for participating providers on the Consolidated Health Insurance website. Anyone living in a different state will need to find the corresponding PPO, and then find an in-network physician. Separate phone numbers for sales, claims, and general inquiries are also available. The Consolidated Health Insurance maintains an online form for questions, comments, and product information. After a claim is submitted, the LuminX Claim Management System can be accessed by customers to check on the status. Old claims can be recalled online, and the payout status of active claims can also be verified. All necessary paperwork must be submitted through standard mail, electronically or via fax before a claim can be filed and accepted. Consolidated Health Insurance lists the reasons why an insurance claim might not be accepted. If Consolidated Health Insurance determines that a different insurance provider should reimburse the customer for out of pocket medical expenses, the claim will be denied. Extraordinary expenses that appear to be inflated will not be accepted by Consolidated Health Insurance. In addition, injuries that occur during a lapse in coverage, the claim will not be honored. Consolidated Health Insurance gives consumers several different ways to enroll. For interested parties that attend schools, participate in sports teams, or work for a company that has partnered with Consolidated Health Insurance, there will be multiple open enrollment dates. In order to enroll more than 30 days after open enrollment has ended, customers will need to provide written documents that show that their primary insurance policy was terminated. Individuals that want to purchase supplementary insurance can enroll at any time. Consolidated Health Insurance also offers life insurance and travelers insurance. Dental coverage is also available; however, Consolidated Health Insurance only offers prescription plan discounts at this time. Insurance agents at the Consolidated Health Insurance Company are available by phone as well as at their Springfield, Massachusetts office. Customers that have questions about out of network doctors, billing or technical issues can call the toll free number during standard business hours. Student and employees at New York University have specific contact information that includes an email address, phone number and fax line for Consolidated Health Insurance. Outside insurance brokers are also encouraged to partner with Consolidated Health Insurance. Many of the services that Consolidated Health Insurance provides can be accessed by the Internet. 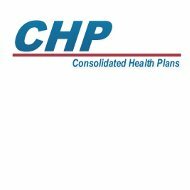 Insurance cards, claims forms, billing statements, informational brochures, and information on health care plans can be found at the CHPgreen web portal. Employers and insurance brokers can also go to the Consolidated Health Insurance website to view the records of enrollees. Quotes for dental, travelers, and life insurance can be obtained by visiting the Consolidated Health Insurance website. Health insurance participants will be able to get a price list for medical plans through their employers, college administrators, or sports team managers. Tuition refund insurance participants can also get online quotes. Because Consolidated Health Insurance offers several discount plans, the rates charged can vary. Schools, business owners, and sports teams need to go through an application process in order to get coverage. Consolidated Health Insurance reviews these applications and then decides whether insurance coverage can be offered. Some of the factors that are considered include; the size of the organization, current and past health insurance providers, and the number of claims submitted each year. Once a decision has been made, a representative from the Consolidated Health Insurance Company will send a letter to the appropriate party. Type your zip code to get access to get access to health insurance rates!